After the changes, Russia had to rediscover the past. Academic historians are reinterpreting the Russian history, but their interpretations are regularly changing due to their political point of view. It will take some time before the Russian historians will have the academic distance necessary for an objective as possible approach in their quest for the historical truth. To provoke a change in the system of history education is a long-term project, which demands for long-term approaches. And a change in ways of thinking makes changes like this. To guide this process of change, or at least a trajectory of it, this project was developed. In the project, innovative educational materials are developed within a clear set timetable within an international, constructive and co-operative environment. 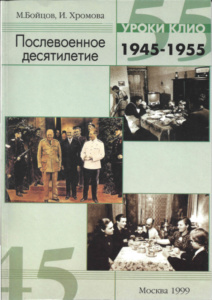 The produced textbooks would like to provoke the debate on history education and will assist history teachers in Russia to meet the new requirements. The materials will help them to teach new content and offer new approaches for the learning and teaching of history. To develop curriculum approaches which search for alternative themes and topics and which merge traditional history education, based on knowledge, with innovative approaches, applying skills and attitudes. To develop innovative teaching materials for those parts of the history curriculum which particularly relate to the development, acquisition and applications of democratic values and of the techniques of democratic practice. To assist in the transfer of technical skills in the teaching of history in schools as an important element in the understanding of democratic practices and the rule of law. To co-operate and exchange ideas with an open mind. To strengthen Associations of History Teachers which are emerging in Russia. The history textbooks the project developed are a real merge of knowledge oriented and skill oriented approaches. 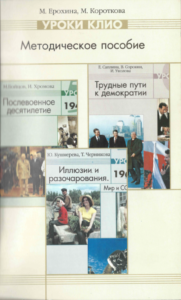 Topics the books deal with are new for Russia: everyday life, youth, women. An integrated approach for world and national history in textbooks is unique. The skills and approaches are transferable to other topics and other subjects. The books give teachers a tool to apply skills in the classroom. They provoke thinking about the multicultural society. The books and the project deal with democracy on different levels. First democratic skills and attitudes are concepts in the developments of the books. They deal with critical thinking, different interpretations, comparison of sources etc. These approaches are important to raise responsible and critical citizens for a democratic society. 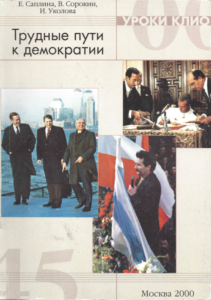 Second, the topic of the third book Difficult Roads to Democracy deals only with democracy and especially with the problems to develop a democratic system out of an authoritarian regime. Third the democratic and equal atmosphere during seminars and activities and the democratic process of decision making during the project was valued by the participants and was a good example and learning process for democracy in practice. The project created a group of authors and experts with unique skills for Russia. These skills were transferred during the teacher training seminars by the stable and active network of history teachers associations and history educators in Russia. The authors and experts of the projects are involved in different forms of teacher training, research, textbook writing etc. Around 500 schools use the project materials in their lessons and this number is still increasing. Additional materials, based on the books are being developed by experts and groups of teachers and teacher trainers in the regions. The participants of the training seminars valued the equality and the possibilities for communication with teachers, authors and foreigners highly. The new methods were not imposed on them. They only were presented good examples and they could themselves decide if and how to use them. The language skills of the project participants improved enormously. Their travels abroad influenced all participants. It was very important to see models and approaches for history education in other countries, to experience different systems of education and to understand different societies and cultures. It developed the independence of their characters. The world becomes bigger and ideas are deepened. The confrontation with Western Europe is also important for the Russians. The West has an almost mythical status and is perceived as a monolithic bloc. To discover the diversity of the West and to see the problems there is important for the perceptions of a history educator. Also the status of a teacher involved in international activities increases. One of the main principles of the project was cooperation. Cooperation always occurred on a level of equality, based on mutual communication, arguments and agreements. Cooperation developed in many different dimensions: between Russian and western Europeans, between authors, between authors and experts, between different regions in Russia, between teachers and historians, between teachers themselves, between the History teachers associations and the authorities, between the Russian history teachers Associations and the European EUROCLIO network of history teachers associations, between the Baltic project and the Russian project, etc. This cooperation is essential to form a group of people with congruent ideas, big and powerful enough to initiate and execute real change and innovation. In Moscow and St. Petersburg new Associations of History Teachers founded during the project and as a result of it. The History Teachers Association of Moscow is the biggest and has more than 100 members. Relations were established with the History Teachers Associations of Archangelsk and Chabarovsk which were founded independently. New attempts to found History Teachers Associations are undertaken in Novgorod, Pskov and Tomsk. They failed till now due to bureaucratic reasons. This does not restrict the teachers in these regions to meet and work in an unofficial organisation. In many other places in Russia small groups of history teachers started their own activities and initiatives, sometimes in cooperation with local educational authorities or teacher training institutes. The means of communication provided by the project were used for aims of the History Teachers Associations too. Participation in each others activities was also supported if possible by the project. The History Teachers Association of Moscow performs as a coordination centre for activities of history teachers in Russia. A website for history teachers in Russia is under development. The skills the project participants developed during the project such as organising and managing skills, financial skills, diplomatic skills, teaching skills and writing skills are of big use of the History Teachers Associations to develop themselves into active and professional organisations. Team members are invited by publishers, teacher training institutes etc. to apply their skills and experience. They are generally valued as experts. Department of Education of Vologda region Administration. Faculty of History of Vologda State University. Vologda Institute for Development of Education. Authors: Boytsov, Michail A., Katsva, Leonid A., Khromova Irina S., Korotkova, Marina V., Kushnereva, Yulia V., Saplina, Elena V., Sorokin, Vladislav S., Tchernikova, Tatiana V., Ukolova, Irina E.
Russian experts: Antoshchenko, Alexander V., Bitiukov, Konstantin, Kushnir, Sergey A., Mitroshina, Galina L., Viazemsky, Eugeniy E., Erokhina, Marina S., Goldenberg, Mikhail, Mitroshina, Galina. Russian Coordinators: Eidelman, Tamara N., Shevyrev, Alexander P.
Language Course and Translation: Sventsitskaya, Olga M., Sventsitsky, Dmitry V., Sventsitsky, Ivan. Secretarial Staff: Shapiro, Anna, Shevyreva, Julia. 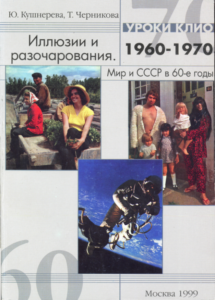 History Teachers Moscow: Abalov, Alexander., Akopova, Natalya., Beznossov, Alexander., Veretchagin, Dmitry., Gavrilenko, Taissia., Ganelina, Marina., Grodskaya, Elena., Dinershtein, Elena., Dokina, Alla., Koval, Tatiana., Kozlov, Andrey., Kuznetsova, Tatiana., Martemyanova, Tatiana., Mosicheva, Tatiana., Prohorov, Andrey., Romanova, Anna., Rumianzev Vladimir., Sergienkova, Elena., Semshova, Galina., Hlystova, Natalya., Shamkina, Larissa., Veretchagin, Dmitry. History Teachers North West Region: Arkhipova, Svetlana., Arsenyeva, Tatiana., Grigoryevskaya, Natalya., Kolybin, Vladimir., Smirnova, Vera., Kozlova, Galina., Smirnova, Elena., Morozov, Alexander., Shavilova, Liubov.